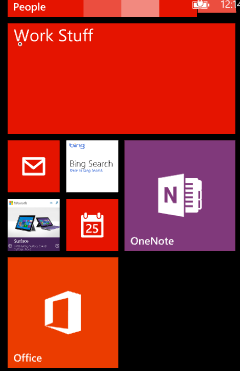 Start Screen Splitter is a simple idea to help organise the tiles on the Windows Phone Start screen. The idea is to allow the user to create and pin wide tiles to vertically group tiles into different categories. The user can choose a colour for the splitter tile. I data bound a ListBox to a list of colour choice objects. These are fixed to a given set, plus the option to use the phone theme accent colour. I created a Special Case colour choice to represent this choice in the list. I published the app and tweeted about it before downloading and checking the published app first. When I did download, I noticed a bug with the tiles which meant I had to submit a new release. I quickly removed the app from the store and deleted the Tweet but it wasn’t very good. What we should probably do with every new app is publish to the store, but choose the option not to have it publicly visible/searchable. We can then use the app deep link and open it on our phones, download and install the published app to do a final spot-check, before publicising and making it visible in the store. 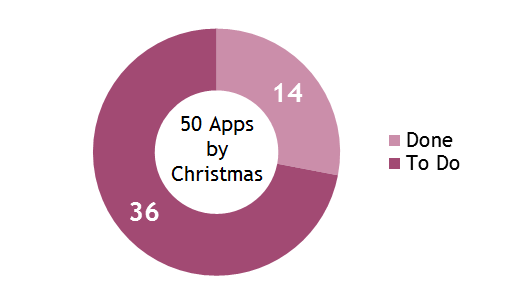 It seems obvious in retrospect, but this is probably a good release pattern to follow for all new apps. To programmatically close the on-screen keyboard I used this technique. To handle the back button when in popups I used this technique.